SRINAGAR: Additional Director General of Police Muneer Khan told Greater Kashmir that the family of Manan Wani has identified one of the slain as their son. “We are cross-checking,” he said, adding that his slain associate is a new recruit, identified as Ashiq of Tulwari Langate. Scholar-turned-militant Mannan Wani was among two militants killed in a gunfight with the government forces in Shatgund village of north Kashmir’s Kupwara district on Thursday. A cousin of Wani said they have completed all formalities at the concerned police station. 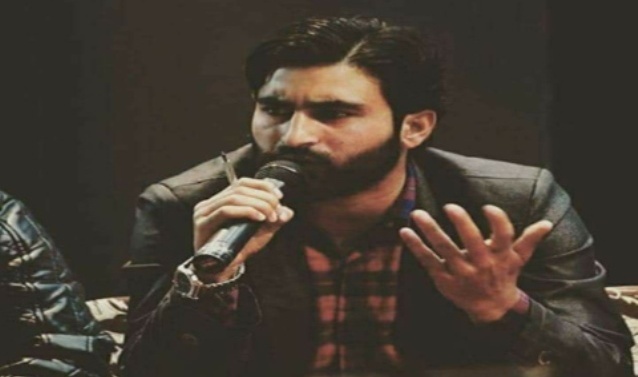 Additional Director General of Police Muneer Khan told Greater Kashmir that the family of Manan Wani has identified one of the slain as their son. “We are cross-checking,” he said, adding that his slain associate is a new recruit, identified as Ashiq of Tulwari Langate. Giving details, the official said the police and other forces cordoned off Shatgund Qalamabad village following intelligence inputs about presence of the militants. There was a lull in firing at around 9 AM, prompting the police to initiate search operation at the gunfight site, but the same had to be suspended after firing resumed after 15 minutes, he said. Our correspondent Shah Muzamil who was present near the site of the gunfight said that intense exchange of fire took place for nearly an hour from 11 am. Quoting locals, he said that the bodies of the two militants were taken away by the forces from the site of the gunfight. Authorities have suspended the Internet services in the Kupwara district “as a precautionary measure”. Schools and colleges have also been closed in the district. Educational institutions have also been closed in parts of valley in wake of the gunfight. Meanwhile, clashes have erupted near the site of the gunfight with youth pelting the forces with stones which responded by firing tear gas.